Doug Hillmer is currently working with the Census Bureau team of programmers that supports the DataFerrett application to help them improve the overall usability of the application. An essential step in this project is an end-user test currently planned for mid-November. Doug is leading this test effort. 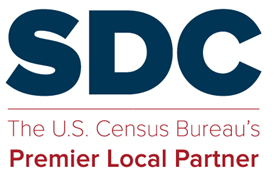 He has asked the SDC Steering Committee to inform the entire SDC network about this upcoming test and to pass on his call for participation by SDC members who use DataFerrett (either occasionally or frequently). Doug has promised send out materials to each participating tester well in advance. Recognizing that we all have our regular work to get done, the tests are being planned to keep the burden minimal (hopefully, under two hours) for each participating tester. The entire end-user testing effort will occur over a period of 3 days (exact dates to be announced). We hope SDC members using DataFerrett will agree to participate, since this effort will contribute to enhanced usability of this important application. To volunteer to participate or to request more information, send Doug an email at dhillmer1@yahoo.com. This entry was posted in Tips and Documentation and tagged Experts.